The Montessori education system was developed by Maria Montessori. Maria Montessori was born in Italy on August 31, 1870. She was born to a well respected family and was expected to grow up to fulfill the traditional role of the Italian woman. Instead she pursued an advanced degree at the University of Rome and became the first woman physician to graduate in Italy. Her interests drew her to work with children, initially those who were disadvantaged and had special needs. Because she was an anthropologist, Montessori’s decisions about working with children were made by observing them first. She was not trained as an educator and thus her decisions were based upon watching what children did and what they were attracted to. Through her observations and trial and error, she developed what became known as the Montessori Method of education. It was a radical departure in Montessori’s own time. She did not place children in restricting environments, Mariabut instead designed the environment to reflect the children. Tables and chairs were child-sized and materials were placed on low shelves to be readily accessible to the students. In addition, many of the skills were designed to teach children how to become more independent and do things for themselves. Dr. Maria Montessori, the creator, of what is called “The Montessori Method of Education,” based this new education on her scientific observations of young children’s behavior. As the first woman physician to graduate from the University of Rome, Montessori became involved with education as a doctor treating children labeled as retarded. Then in 1907 she was invited to open a child care center for the children of desperately poor families in the San Lorenzo slums of Rome. She called it a “A Children’s House,” and based the program on her observations that young children learn best in a homelike setting, filled with developmental appropriate materials that provide experiences contributing to the growth of sell-motivated, independent learners. 1. The “whole child” approach. 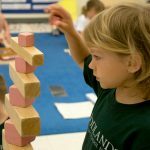 The primary goal of a Montessori program is to help each child reach full potential in all areas of life. Activities promote the development of social skills, emotional growth, and physical coordination as well as cognitive preparation. The holistic curriculum, under the direction of a specially prepared teacher, allows the child to experience the joy of learning, time (race against time meaning) to enjoy the process and insure the development of sett-esteem, and provides the experiences from which children create their knowledge. 2. The “Prepared Environment.” In order for self-directed learning to take (take with a grain of salt meaning) place, the whole learning environment—room, materials and social climate—must be supportive of the learner. The teacher provides necessary resources, including opportunities for children to function in a safe and positive climate. The teacher thus gains the children’s trust, which enables them to try now things and build self-confidence. 3. The Montessori materials. Dr Montessori’s observations of the kinds of things which children enjoy and go back to repeatedly led her to design a number of multi-sensory, sequential and self-correcting materials which facilitate the learning of skills and lead to learning of abstract ideas. 4.Montessori Teacher or Directress: Functions as designer of the environment, resource person, role model, demonstrator, record-keeper and meticulous observer of each child’s behavior and growth. The teacher acts as a facilitator of learning. Extensive training—a minimum of a full year following the baccalaureate degree is required for a full AMS credential, including a year’s student teaching under supervision—Is specialized for the age group with which a teacher will work, i.e., infant and toddler, three to six year olds, elementary or secondary level. 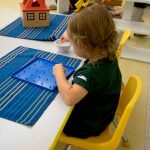 Each Montessori class, from toddlers through high school, operates on the principle of freedom within limits. Every program has its set of ground rules which differs from age to age, but is always based on core Montessori beliefs—respect for each other and for the environment. The three-year-age span in each class provides a family-like grouping where learning can take place naturally. More experienced children share what they have learned while reinforcing their own learning. 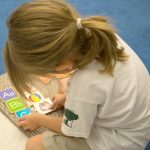 Because this peer group learning is intrinsic to Montessori, there is often more conversation – language experiences – in the Montessori classroom than in conventional early education settings. Music, art, storytelling, movement and drama are part of every American Montessori program. But there ale other things particular to the Montessori environment which encourage creative development: many materials which stimulate interest and involvement; an emphasis on the sensory aspect of experience; and the opportunity for both verbal and non-verbal modes of learning. 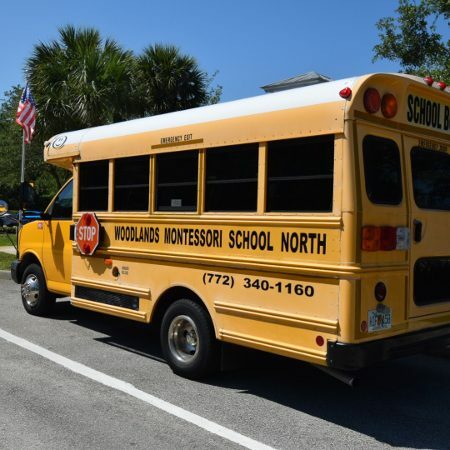 Since Montessori is a word in the public domain, it is possible for any individual or institution to claim to be Montessori. But, an authentic Montessori classroom must have these basic characteristics at all levels. Montessori children are unusually adaptable. They have learned to work independently and in groups. Since they’ve been encouraged to make decisions from an early age, these children are problem-solvers who can make choices and manage their time well. They have also been encouraged to exchange ideas and to discuss their work freely with others and good communication skills ease the way in new settings. Research has shown that the best predictor of future success is a sense of self-esteem. 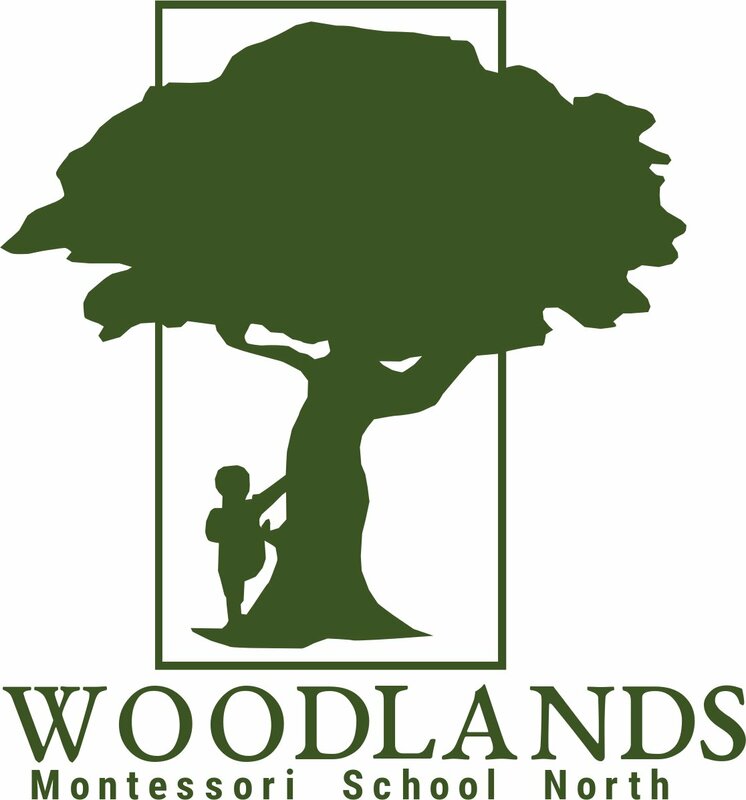 View some of our own Successful Montessorians by clicking here!